If you’ve ever dreamed of turning your favorite hobby or passion project into a full-time job, you’re not alone. 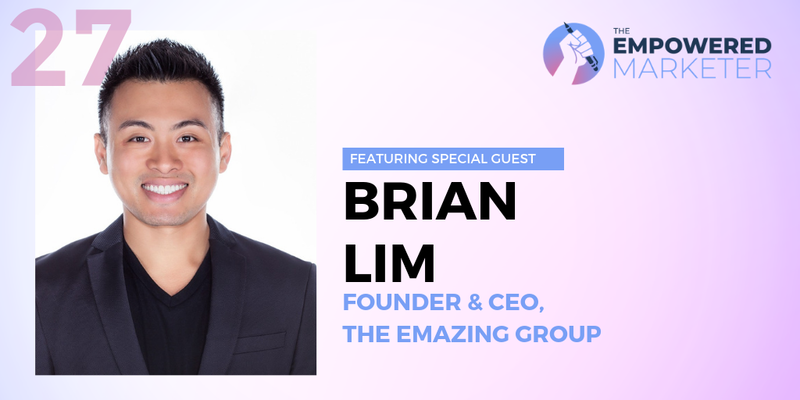 That’s what drove Brian Lim, the CEO and Founder of The Emazing Group, to start three massively successful ecommerce brands — Emazing Lights, iHeartRaves and INTO THE AM. The brands collectively gross over $20M per year and Brian was on season 6 of ABC’s Shark Tank, where he received offers from all five sharks. But Brian didn’t just have a good idea for a business out of nowhere — he was a huge fan of the rave scene and a serious gloving enthusiast. What’s gloving you ask? It’s a combination of light show and dance that’s incredibly popular at raves. There are even gloving competitions worldwide where people compete to perform the most intricate dances with lights. Brian’s hobby quickly turned into a business when he started selling custom LED gloving lights through Emazing Lights. 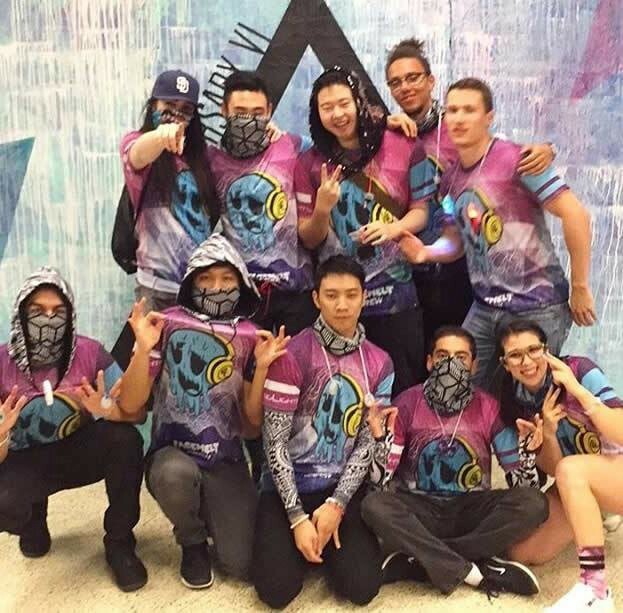 He then expanded into rave apparel with iHeartRaves, and then gaming apparel with INTO THE AM. But behind it all was his passion for rave culture, gaming, and his drive to succeed. 1. There’s a lot of overlap in the audience of these three brands, so how do you reach them? Do you create a different message for each brand? And what marketing strategies are really driving growth for you? We came up during the organic social media phase of life, where you could post on Facebook and hit 200,000 or 300,000 people instantly without paying a dime. Those were the golden ages for Emazing Lights. When we first started, we were really hitting that audience of people who loved raves and music festivals. But as we’ve grown, each of the brands has taken on their own unique identity and their messaging has become a lot more crafted. So yes, there was some overlap initially, but it’s definitely grown way beyond that. Some of our most popular communication channels are social media, PPC on top, SEO, and email marketing. But what I’m most excited about is the Facebook messenger strategy play, which I know folks have been testing for a couple of years now. We’ve been getting great results from it. Especially for ecommerce, the open rates are 90% plus on Facebook messenger versus email open rates of 15% to 20% on good days. It’s just a huge difference on Facebook messenger. It’s cool because you’re basically building your entire strategy on there, similar to email marketing with drip campaigns. But you’re just in a different realm where people are super glued to opening up their Facebook messenger. And especially for our audience — which is the 15-to-30-year-old demographic — they just live on Facebook messenger. 2. These three brands that you have are definitely focused on a lifestyle. What does that mean to you and how does it impact the focus for the brands? So the three brands, they were all started based on my personal passions. I love gloving. There you have Emazing Lights. I loved going to festivals and raves. There’s iHeartRaves. I didn’t start Into the AM, but I was an ex-pro gamer. I still love to play games. To me, lifestyle just reflects your values as a person. For us, that’s our niche. We build lifestyle brands because we care about your passions and what you want to do in life, and it all kind of just connects as a lifestyle. 3. A challenge for any brand out there right now is Amazon. You can get maybe a cheaper version of gloves for gloving or a cheaper version of the kind of rave clothing that you sell. How do you stand out? How do you build customer loyalty and kind of fight back against Amazon if you can? I always view Amazon as our frienemies at The Emazing Group. We sell on Amazon and we do a large amount of business on Amazon. But I think for us, it’s a lot different than dropshippers or retailers. The core of our strategy is building and scaling brands. In order for us to scale a brand, we have to look at what’s unique to us. We do everything A through Z in-house, other than manufacture the product. If you see our facility here, where we have 30,000 square feet and we’re about a mile away from Disneyland. We design and create our own products for our target audience, so it’s really difficult for anyone to just copy our stuff. That’s what makes us successful on Amazon. You mentioned the gloves, for example. In that case, you get what you pay for. Yes, you can get a $5 pair of LED light of gloves on there, but they’re also going to break on you in the first 20 seconds that you open the package. Versus buying something for say $15, and it’s going to last much longer. Or you can go to our top-of-the-line, which is over a hundred dollars, but you have Bluetooth connectivity. So if we differentiate ourselves enough and make our products really stand out, it makes marketing a whole lot easier. 4. You also talked a lot about building this community and being part of this community. I noticed on your site, you have groups like the Facemelt Crew. Why is community so important to your marketing and why do you think it works? I think especially Millennials and the younger generation can smell BS a mile away. If you’re not genuine and you’re just trying to come in and monetize their scene, they can see it. For us, because we grew up in these industries and we love them and understand them, we want to be connected on a day-to-day basis — and not just digitally. To learn more about Brian Lim and the Emazing Group, you can visit www.emazinggroup.com for links to all three of their core brands.